Toronto, 5 March 2019 – This March Break, Family Channel is the go-to destination for family fun, with extraordinary programming airing on the network and action-packed events at two of Canada’s premier vacation resorts from Friday, March 8 – Sunday, March 17. The excitement takes place at Big White Ski Resort in Kelowna, BC and Great Wolf Lodge in Niagara Falls, ON, where families can take part in American Ninja Warrior Junior-inspired activities and compete on an epic 145-ft inflatable obstacle course. Plus, the series returns with new episodes on Monday, March 11 at 8 p.m. ET/PT, headlining an entire week of sensational new shows and must-see movies for the entire family. 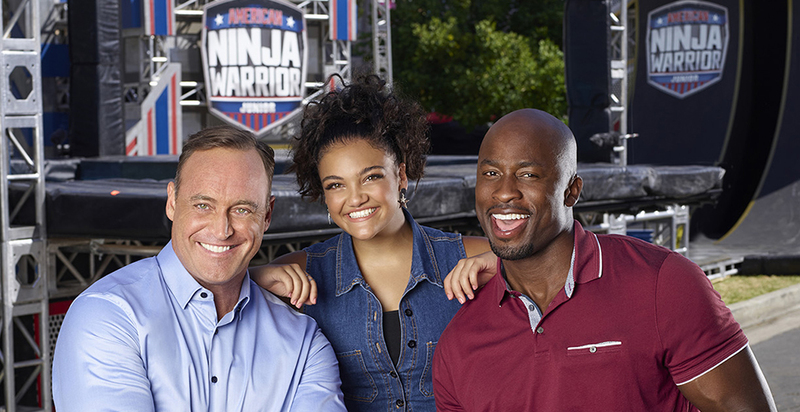 American Ninja Warrior Junior returns to Family on March 11. To watch the trailer, click here. Whether you’re looking to laugh, cry or get up on your feet and shout at the tv, Family Channel’s got something for everyone this March Break! The fun officially begins on Saturday, March 9 at 4:30 p.m. ET/PT with the premiere of the hilarious new game show Beat the Clock. True movie buffs will want to tune in Monday – Friday at 8 a.m., 11 a.m. and 3 p.m. ET/PT for blockbuster titles like Journey 2: The Mysterious Island, Dolphin Tale and Two by Two; reality competition fans can kick back weeknights from 6 p.m. – 9 p.m. ET/PT for more Beat the Clock, new series Hole in the Wall, Wipeout and American Ninja Warrior Junior; and animation addicts will want to wake up bright and early weekend mornings for new episodes of Mighty Mike, Johnny Test, Alvinnn!!! and The Chipmunks and Miraculous: Tales of Ladybug & Cat Noir starting at 7 a.m. ET/PT. Popular tween dramas The Next Step, Holly Hobbie and Bajillionaires round out the rest of the lineup. The Family Channel App is also getting in to the March Break spirit, serving up something extra special for fans of The Next Step. Beginning Friday, March 8, all of season six will be available on the app, giving fans the opportunity to binge watch the second half of the season before it airs on television! Plus, parents and kids can stream or download their favourite shows to watch wherever and whenever they want. Families planning to hit the slopes can head to Big White Ski Resort on Saturday, March 9 and Sunday, March 10 for the Snow Ninja Challenge, where competitors can race through the giant inflatable obstacle course for the chance to win awesome prizes! Kids will be tested to their limits, tackling popular obstacles from the show, like the corkscrew, the tire run and the leap of courage, while being cheered on by Family Channel stars Deepa Prashad and Trevor Tordjman. Meanwhile, over at Great Wolf Lodge, guests can take part in Ninja Week (March 8 – March 17) featuring daily activities like ninja warrior-themed yoga, games and screenings. Then, on March 16 and 17, families will be treated to the main event – the giant inflatable obstacle course – where Deepa will be joined by The Next Step’s Alexandra Chaves to commentate on the competition.